The Mail on Sunday splashes with an incorrect headline: 'Honeytrap Spy Stole Secrets of new RAF jet'. The story claims that a member of the RAF's Tinder account was hacked, with the perpetrator aiming to get information on the F-35 fighter jet. 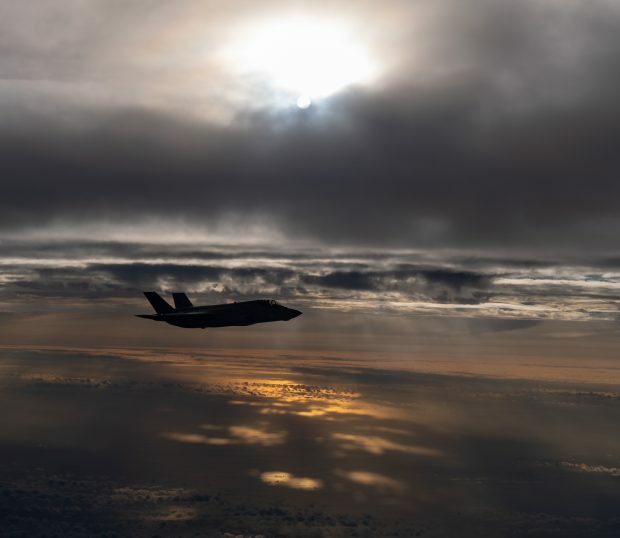 Pictured is one of the second batch of UKs F-35B Lightning jets to be flown to the UK. Crown copyright.